Sulan Chau was fined for code and life safety violations over 2½ years, but her attorney argues that the penalty is excessive because officials waited too long to take action. A Portland landlord who was fined more than a half-million dollars for life safety and building code violations is arguing that the penalty should be reduced in part because the city waited for years to take legal action. 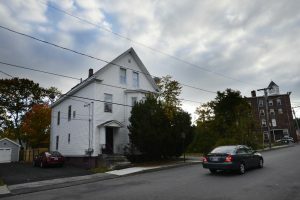 A judge in civil court ordered Sulan Chau to pay a $510,300 penalty stemming from more than a dozen code violations at a five-unit building at 112 Woodford St. She also was ordered to pay $3,000 in attorney fees and other court costs. It was the largest fine imposed in recent memory for code violations and part of an effort by the city to get tough on safety standards after a deadly fire in 2014. Maine District Court Judge Peter J. Goranites based Chau’s fine on the number of days each violation went uncorrected and the city’s efforts to gain compliance. Chau did not show up for her January trial in District Court in Portland, but she hired an attorney to appeal the fine to the Maine Supreme Judicial Court. 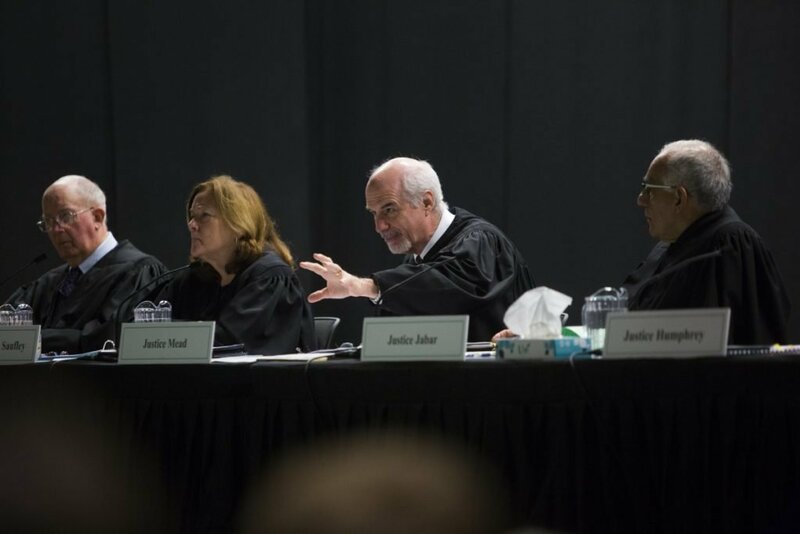 The justices heard oral arguments in the case Thursday at Wells High School as part of its annual high school session. The city ramped up code enforcement citywide after six young adults died in a November 2014 fire at an apartment building on Noyes Street. It was Maine’s deadliest fire in 40 years. The tragedy led to Portland’s creation of a new Housing Safety Office, which oversees a registry of about 2,600 landlords and helps firefighters inspect rental units. The city also has been more aggressive in taking unresponsive landlords to court. The investigation into Chau’s apartments on Woodford Street began as part of that effort. Anne Torregrossa, associate corporation counsel for the city, said the fine was a signal for other landlords. 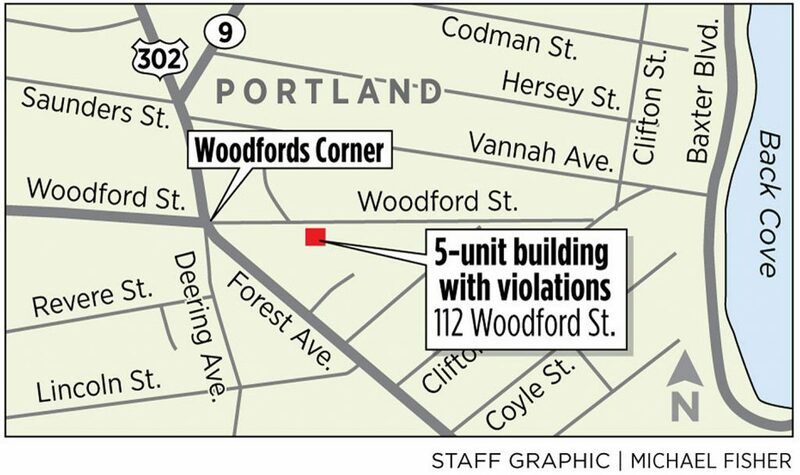 Court records show that Portland officials had inspected Chau’s building on Woodford Street as many as 10 times starting in May 2015. They identified more than a dozen violations, including obstructed exits, a lack of smoke detectors, electrical problems, “numerous instances of bed bugs” and leaky sewer pipes. Obstructed exits and a lack of working smoke detectors were among the factors in the fatal Noyes Street fire. The city’s attorney wrote in her brief for the justices that Chau was difficult for the inspectors to work with or reach on the phone. She would make just enough progress for the city to continue working with her toward voluntary compliance. But some violations, such as obstructed exits, excessive storage and lack of fire doors, went uncorrected for more than two years. The city finally filed its civil complaint in November 2017. Torregrossa said it is the city’s policy to give landlords time to correct violations because they can involve costly projects. She also pointed to Chau’s failure to appear at her earlier trial as an example of her apparent disregard for the law. Pierce, Chau’s lawyer, acknowledged that his case is more difficult because she did not participate in her first round in court, although he said most of the violations were fixed by the time of the trial. Pierce said the District Court judge reached the total fine figure in an improper way and did not need to apply the penalty on a per-day basis as the city had requested. And if the city had acted sooner, he said, the fine would have been less. Multiple justices questioned that line of argument. Pierce said he is challenging the court’s application of the fine, not the violations themselves. Pierce also argued that at least one violation should not have been subject to a civil penalty, and that the total fine was more than twice the value of the apartment building. He asked for the case to be sent back to the lower court so the judge could rethink the fine. The Supreme Judicial Court can take months to issue its decision in a case. Chau continues to own the building at 112 Woodford St. and rent apartments to tenants. The building passed its most recent inspection, the city said.